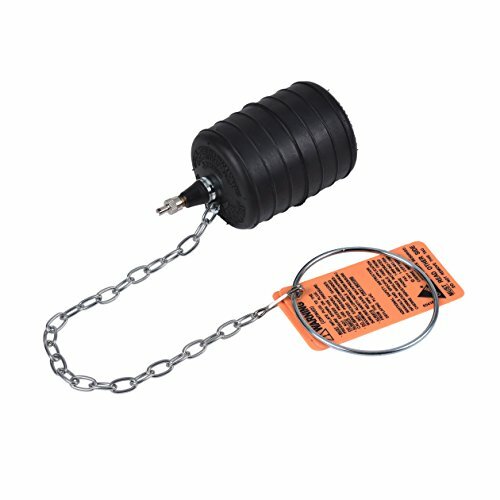 Zinc-plated steel chain and ring handle acts as an anchor to prevent plug from sliding down a line. Fits easily through test tees, sanitary tees, floor drains, and other ""tight"" situations. Broader expansion range than mechanical plugs. Fits easily through test tees, sanitary tees, floor drains, and other "tight" situations.